BxCRRB is comprised of educators, doctors, health workers, artists and activists that all call the Bronx their home. Each member brings a unique perspective and invaluable experiences that helps us further our goals of empowering community members, educating researchers and making the Bronx a better place. 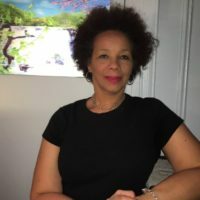 Dr. Monique A. Guishard (Dr. Moe), is a 35-year resident of the Bronx (Morris Heights, Fordham, Intervale, and University Heights). Dr. Moe joined the BxCRRB at the end 2012 initially as a researcher. Monique conducted an ethnography of the board’s community consultations, outreach events and presentations. 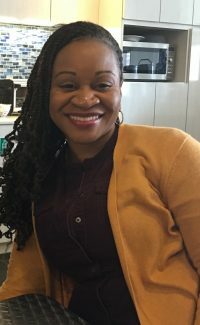 In exchange for allowing her to collect data about the BxCRRB, Monique worked with the board to build their internal capacity and increase their self-determination. Four and a half years later Monique has maintained her relationship with board and is a board member of the third cohort. Dr. Moe, Daniel Korin, Barbara Hart, and Hal Strelnick collaborated on the BxCRRB’s proposal to establish the BxCRRB’s Community Engaged Research Academy (CERA). Monique’s hope for the board is that it will instrumental in shifting the top down and exploitative culture of health research in our borough. Barbara Hart (also known as Bobbi) joined the Bronx Health Link team as its new Executive Director in December, 2013. Barbara was Program Director for Bronx BREATHES, the Bronx Tobacco Cessation Center, from 2008 through 2013, and during the 1990s she was Director of the HIV CARE Network. Her many encounters and collaborations with New York State and City legislators enable her to command a seat at tables for public health planning discussions. Barbara earned a Bachelor of Science in Health Education from Herbert H. Lehman College of the City University of New York and a Master of Public Administration with a concentration in Policy from Bernard M. Baruch College, CUNY. On May 31, 2013, Barbara graduated with a Master of Public Health from Albert Einstein College of Medicine of Yeshiva University. She is currently a public health adjunct professor at Bronx Community College. 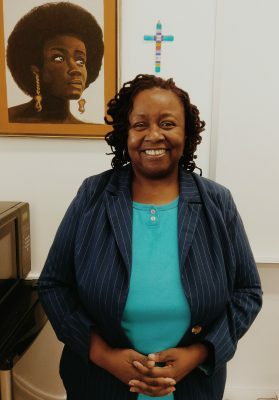 Barbara’s education and experience give her an understanding of community organizing, health policy and health administration and the resources for the work of Bronx Health Link in connecting providers, researchers, policymakers, and residents for the better health of all. Barbara Salcedo came to BxCRRB as a Bronx resident with over 10 plus years of experience in clinical quality improvement, community research and risk management, working for a community health center grounded in the South Bronx. She remains strongly committed to improving health care outcomes amongst vulnerable and underserved communities and ethically responsible community participatory research and equitable partnerships between communities and academic/industry research investigators. Albert Greene is a South Bronx native. He joined the BxCRRB at the Beginning or 2017 as the project coordinator and webmaster for the BxCRRB and the CERA project. 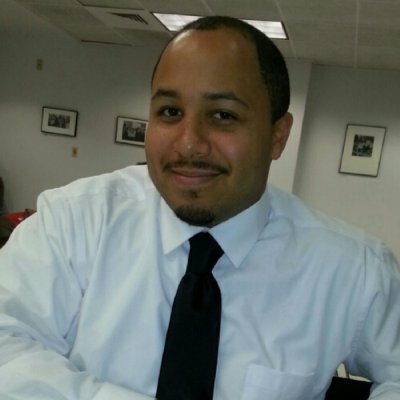 Albert’s educational background is in Sports Management and Health Information Technology. His interest in combatting environmental racism and decolonizing anthropology led them to join the BxCRRB’s mission to shifting the culture of health research. Albert’s hope for the Bronx is for residents to fight against prejudices in health through storytelling and community engagement. 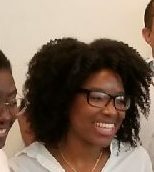 Jayleecia became a member of the BxCRRB’s third cohort at the end of 2016, and she is a Bronx native (Allerton). Jayleecia’s interests lie in health administration, public health outreach, and science research methods. Her hope for the Bronx is to expel the negative narratives surrounding our borough, by empowering community members to take charge of change. When it comes to community health, I Jayleecia wants to gain a better understanding of the social and political effects of systems on our health, to confront these issues, and to work towards the narrowing of the health disparity. She is looking forward to collaborating with her fellow residents to getting everyone involved in community health. 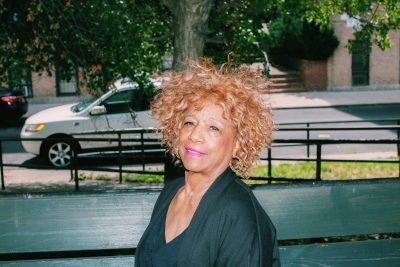 Bernice Williams has been a member of the Bronx Community Research Board since its inception. She was recruited when she served on Community Board 5 as Chair of the Health and Human Services Committee. As chair Bernice invited medical professionals to BxCRRB meetings to address the health disparities in the community. Since community members knew very little about community engagement in research, it was a great opportunity for others to learn more of the importance of research and community engagement and pass it on to fellow residents. Bernice’s passion for research has led her to serve on St. Barnabas Institutional Research Board the IRB as the layperson. She thanks the BXRRB for her learning experiences, and hopes that the BxCRRB’s work will continue educate the community and mend the relationship between researchers and Bronx residents. Gustavo Diaz is 43 years old, HIV+ Long Term Survivor, an artist, Gay and a USArmy Veteran. He is originally from Cali, Colombia South America. In the past, Gustavo has worked as a Peer Facilitator and Outreach Bilingual Health Navigator with the New York City Department of Health and Mental Hygiene, Boom Health, Aids Service Center, Gay Man Health Crisis and after promptly getting involved with Harlem United. Although he has only lived here for a year, Gustavo believes the Bronx has welcomed him with open arms. Since moving to the Bronx diaz believes he has advanced more than my past five years and he doesn’t intend to stop. It’s my Duty, Passion and Honor to work for the Bronx and better my country, my community, and myself. Mr. Williams was born in New York City and graduated from Julia Richman High School. 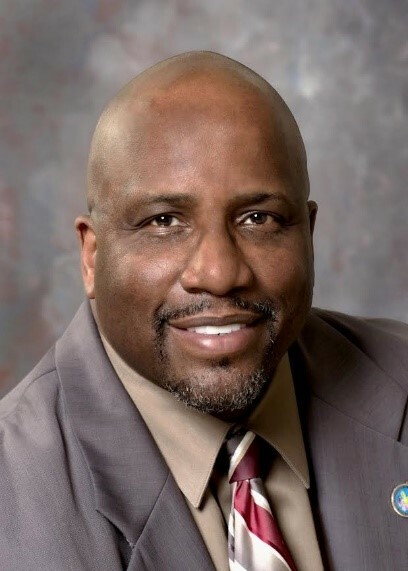 He attended Lincoln University for one year prior to joining the United States Marine Corp. Mr. Williams was passionate about being the best Marine and soon rose to the status of Marine Corp Drill Instructor. He was honorably discharged after 13 years of military service. Mr. Williams enrolled at Bronx Community College, where he majored in Human Services as a way to continue his enthusiasm for serving humanity. 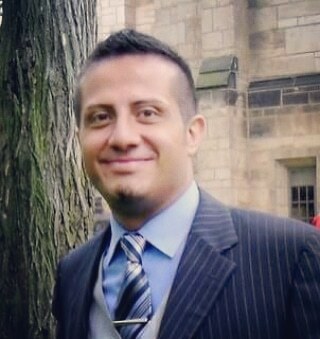 He entered Lehman College and graduated with a bachelor’s degree in Social Work. In his need to increase his knowledge base, he was accepted into the Social Work Master’s program at Yeshiva University, earned a Master’s of Social Work degree and specialized in clinical social work. Ana (pronounced Ah-na) Yali Cummins is a 42-year old resident and employee of the Bronx. She is a wife, a mother of three (George 25, Luis 23, and Daisha 20), and a Yaya aka Grandma of one (Xariana 4). Ana currently works for Cardinal McCloskey Community Services (CMCS) as the Director of Program Oversight and Health Services and has been employed with them for five years. Ana was diagnosed in 2001 with FSGS (Focal Segmental Glomeruli Sclerosis), end stage renal disease, started dialysis in December of 2014, and received a live donor renal transplant in August of 2015. 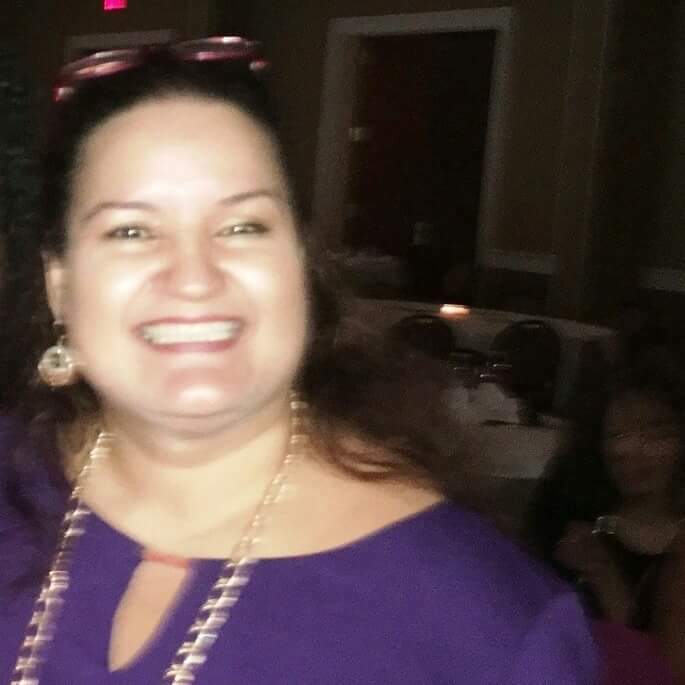 Ana is passionate about advocating for all as well as empowering single mothers to become better advocates for themselves and their children. Ana continues to involve herself with the community in order to maintain full knowledge of what changes are occurring within the Bronx. By doing so, she is able to further empower the families she and CMCS provide services too. Ana will be returning to school to further her education in Fall 2017 at Mercy College and will be majoring in Psychology. 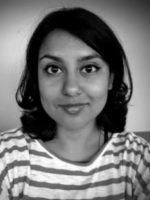 Tanzina Ahmed works under the supervision of Dr. Colette Daiute in the Human Development program at the CUNY Graduate Center. Dr. Ahmed’s research focuses on understanding how the long-term academic trajectories of community college students are influenced by their educational environments, relationship experiences, and academic activities. She also teaches at Bronx Community College, as a lecturer, and leads workshops on Adolescent Development for the New York City Department of Youth and Community Development. Lucretia Jones was born, raised, and back in the Longwood section of the South Bronx where she began 62 years ago. Dr. Jones was a community activist addressing public health issues at Mothers On the Move before she began working at the NYC Dept. of Health 24 years ago. Since then she went back to school twice and obtained her MPH and DrPH to gain the tools to better understand and help improve the health disparities in her community. Dr. Jones’s hope is that politicians and the medical community will adopt a social ecological framework targeting institutions and the social determinants that lead to poor health outcomes in Bronx residents, as well as focusing on their individual behaviors. Pablo Blanco resides in Morris Heights by way of Honduras and is currently the chairperson of the Cultural Affairs and Parks Committee in local community board 5.He is an advocate for social issues affecting marginalized communities. Recently, he participated in a solidarity caravan (12 days, 15 US cities, and 2 cities in Mexico) whose purpose was to raise awareness about the effects of immigration, militarization, police brutality, imperialism and globalization on those communities. Pablo hopes to be a beacon of change in his community by opening a full service mental health clinic, where nutrition will be emphasized in order to avoid sicknesses and diseases by adhering to a plant based diet, regular exercise and leveraging technology to improve socio-economic status.